Japanese automobile pioneer engineer, industrialist, and founder of the Honda Motor Company, Soichiro Honda was born November 17, 1906 . In 1937, Honda founded Tōkai Seiki to produce piston rings for Toyota. During World War II, a US B-29 bomber attack destroyed Tōkai Seiki’s Yamashita plant in 1944 and the Itawa plant collapsed in the 1945 Mikawa earthquake. After the war, Honda sold the salvageable remains of the company to Toyota for ¥450,000 and used the proceeds to found the Honda Technical Research Institute in October 1946.In 1948 he started producing complete motorcycles as president of the Honda Motor Company. Honda turned the company into a billion-dollar multinational that produced the best-selling motorcycles in the world. Honda’s engineering and marketing skills resulted in Honda motorcycles outselling Triumph and Harley-Davidson in their respective home markets. In 1959 Honda Motorcycles opened its first dealership in the United States.Honda remained president until his retirement in 1973, where he stayed on as director and was appointed “supreme adviser” in 1983. His status was such that People magazine placed him on their “25 Most Intriguing People of the Year” list for 1980, dubbing him “the Japanese Henry Ford.” In retirement Honda busied himself with work connected with the Honda Foundation. Even at his advanced age, Soichiro and his wife Sachi both held private pilot’s licenses. He also enjoyed skiing, hang-gliding and ballooning at 77, and he was a highly accomplished artist. He and Takeo Fujisawa made a pact never to force their own sons to join the company. His son, Hirotoshi Honda, was the founder and former CEO of Mugen Motorsports, a tuner for Honda vehicles who also created original racing vehicles.Soichiro Honda died on August 5, 1991 of liver failure. He was posthumously appointed a Grand Cordon of the Order of the Rising Sun. Howevr the company he founded has gone from strength to strength and were the first Japanese automobile manufacturer to release a dedicated luxury brand, Acura in 1986. Today Honda are primarily known as a manufacturer of automobiles and motorcycles and have been the world’s largest motorcycle manufacturer since 1959, as well as the world’s largest manufacturer of internal combustion engines measured by volume, producing more than 14 million internal combustion engines each year. Aside from their core automobile and motorcycle businesses, Honda also manufactures garden equipment, marine engines, personal watercraft and power generators, amongst others. Since 1986, Honda has been involved with artificial intelligence/robotics research and released their ASIMO robot in 2000. They have also ventured into aerospace with the establishment of GE Honda Aero Engines in 2004 and the Honda HA-420 HondaJet, Was rleased in 2012.
known as Il Mantovano Volante (The Flying Mantuan) or Nivola, the Italian motorcycle and racecar driver Tazio Giorgio Nuvolari was born 16 November 1892 He was the 1932 European Champion in Grand Prix motor racing. German engineer Ferdinand Porsche called Nuvolari “The greatest driver of the past, the present, and the future.”Tazio Nuvolari started out in motorcycle racing in 1920 at the age of 27. In 1925 he captured the 350cc European Championship. From then until the end of 1930, he competed both in motorcycle racing and in automobile racing. For 1931, he decided to concentrate fully on racing cars and agreed to race for Alfa Romeo’s factory team, Alfa Corse. In 1932 he took two wins and a second place in the three European Championship Grands Prix, winning him the title. He won four other Grands Prix including a second Targa Florio and the Monaco Grand Prix.After Alfa Romeo officially left Grand Prix racing, Nuvolari stayed on with Scuderia Ferrari who ran the Alfa Romeo cars semi-officially. During 1933, Nuvolari left the team for Maserati after becoming frustrated with the Alfa Romeo’s performance. At the end of 1934, Maserati pulled out of Grand Prix racing and Nuvolari returned to Ferrari, who were reluctant to take him back, but were persuaded by Mussolini, the Italian prime minister.The relationship with Ferrari turned sour during 1937, and Nuvolari raced an Auto Unionas a one-off in the Swiss Grand Prix that year before agreeing to race for them for the 1938 season. Nuvolari remained at Auto Union until Grand Prix racing was put on hiatus by World War II. The only major European Grand Prix he never won was theCzechoslovakian Grand Prix. Upon his return to racing after the war, he was 54 and suffering from ill health. His final race, in 1950, saw him finish first in class and fifth overall. He died in 11 August 1953 from a stroke. lam abig fan of the late great English actor, satirist, writer and comedian Peter Cook who was born 17 November 1937. he is regarded as An extremely influential figure in modern British comedy & a leading light of the British satire boom of the 1960s & has been described by Stephen Fry as “the funniest man who ever drew breath”. Cook was closely associated with anti-establishment comedy which emerged in Britain and the United States in the late 1950s. Educated at Radley College and Pembroke College, Cambridge, Cook joined the Cambridge University Liberal Club & It was at Pembroke thatCook performed and wrote comedy sketches as a member of the Cambridge Footlights Club, of which he became president in 19which was60′s, & wrote for Kenneth Williams, before joining a four-man group satirical stage show, Beyond the Fringe, with Jonathan Miller, Alan Bennett and Dudley Moore, which included Cook impersonating the Prime Minister, Harold Macmillan.In 1961 Cook opened the Establishment club in central London. Cook said it was a satirical venue modelled on “those wonderful Berlin cabarets… which did so much to stop the rise of Hitler and prevent the outbreak of the Second World War”. Cook befriended and supported Australian comedian and actor Barry Humphries, who began his British solo career at the club. Cook’s chiselled looks and languid manner led Humphries to observe that whereas most people take after their father or mother, Cook seemed more like an aunt. Dudley Moore’s jazz trio also played in the basement of the club during the early 1960s. In 1962, the BBC commissioned a pilot for a television series of satirical sketches based on the Establishment club, cacook That Was The Week That Was ‘.Around this time, Cook provided financial backing for the satirical magazine Private Eye. For a time, the magazine was produced from the premises of the Establishment club. Cook ‘s first regular television spot was on Granada Television’s Braden Beat with Bernard Braden, where he featured his most enduring character: the static, dour and monotonal E.L. Wisty.Cook’s comedy partnership with Dudley Moore led to Not Only… But Also. Using few props, they created dry and absurd television. Cook played characters such as Sir Arthur Streeb-Greebling and the two men created their Pete and Dud alter egos. Other sketches included “Superthunderstingcar”, a parody of the Gerry Anderson marionette TV shows, and Cook’s pastiche of 1960s trendy artsdocumentaries – satirised in a TV segment on Greta Garbo. A compilation of six half-hour programmes, The Best of What’s Left of Not Only…But Also. Cook and Moore began to act in films together such as With The Wrong Box (1966) and Bedazzled (1967) , the underlying story of Bedazzled is a comic parody of Faust, which stars Cook as George Spigott (The Devil) who tempts Stanley Moon (Moore), a frustrated, short-order chef, with the promise of gaining his heart’s desire – the unattainable beauty and waitress at his cafe, Margaret Spencer (Eleanor Bron) – in exchange for his soul, but repeatedly tricks him. The film features cameo appearances by Barry Humphries as Envy and Raquel Welch as Lust. Moore composed the soundtrack music and co-wrote (with Cook) the songs performed in the film. In 1968, Cook and Moore did four one-hour programmes entitled Goodbye Again with John Cleese ,which were based on the Pete and Dud characters. ln 1970, Cook took over a a satirical film called The Rise and Rise of Michael Rimmer . As a reult Cook became a favourite of the chat show circuit sadly his own effort at hosting one for the BBC in 1971, Where Do I Sit? didn’t work and He was replaced by Michael Parkinson, which started Parkinson’s career as a chat show host. Cook and Moore used sketches from Not Only….But Also and Goodbye Again with new material for a stage revue called Behind the Fridge. Which proved very popular and won Tony and Grammy Awards. When it finished, Moore stayed in the U.S. to pursue a film career in Hollywood. Cook returned to Britain and recorded the more risqué humour of Pete and Dud like “Derek and Clive”. One of these audio recordings was also filmed Two further Derek and Clive albums were released, the last accompanied by a film.In 1978 Cook appeared on British music series Revolver where emerging punk and new wave acts played . Cook also played multiple roles on the 1977 concept album Consequences, which was A mixture of spoken comedy and progressive rock with an environmental subtext. Cook appeared at the first three fund-raising galas staged by humourists John Cleese and Martin Lewis on behalf of Amnesty International. The benefits were dubbed The Secret Policeman’s Balls, where he performed on all three nights of the first show in April 1976, A Poke in the Eye (with a Sharp Stick), as an individual performer and as a member of the cast of Beyond The Fringe, which reunited for the first time since the 1960s. He also appeared in a Monty Python sketch, taking the place of Eric Idle. Cook was on the cast album of the show and in the film, Pleasure At Her Majesty’s. He was in the second Amnesty gala in May 1977, An Evening Without Sir Bernard Miles. It was retitled The Mermaid Frolics. Cook performed monologues and skits with Terry Jones. In June 1979, Cook performed all four nights of The Secret Policeman’s Ball – teaming with John Cleese. Cook also performed a couple of solo pieces and a sketch with Eleanor Bron, PLUS the “End Of The World” sketch from Beyond The Fringe., he also wrote and voiced radio commercials to advertise the film in the UK. He also hosted a spoof film awards ceremony that was part of the world première of the film in London in March 1982. Following Cook’s 1987 stage reunion with Moore for the annual U.S. benefit for the homeless, Comic Relief (not related to the UK Comic Relief benefits), Cook repeated the reunion for a British audience by performing with Moore at the 1989 Amnesty benefit The Secret Policeman’s Biggest Ball. In 1980, Cook moved to Hollywood and appeared as an uptight English butler to a wealthy American woman in a short-lived U.S. television sitcom The Two of Us, In 1980, Cook starred in l Peter Cook & Co. which included memorable, comedy sketches, such as a Tales of the Unexpected parody “Tales Of The Much As We Expected”. The cast included John Cleese, Rowan Atkinson, Beryl Reid, Paula Wilcox and Terry Jones. ln 1983 Cook played the role of Richard III in the first episode of Blackadder, “The Foretelling”, which parodies Laurence Olivier’s portrayal. He narrated the short film “Diplomatix” by Norwegian comedy trio Kirkvaag, Lystad and Mjøen, which won the “Special Prize of the City of Montreux” at the Montreux Comedy Festival in 1985. In 1986 he partnered Joan Rivers on her UK talk show. He appeared as Mr Jolly in 1987 in The Comic Strip Presents’ Mr Jolly Lives Next Door.In 1988, Cook appeared as a contestant on the improvisation comedy show, Whose Line Is It Anyway? Cook was declared the winner, his prize being to read the credits in the style of a New York cab driver. Cook returned to the BBC as Sir Arthur Streeb-Greebling for an appearance with Ludovic Kennedy in A Life in Pieces. The 12 interviews saw Sir Arthur recount his life based on the Twelve Days of Christmas. Unscripted interviews with Cook as Streeb-Greebling and satirist Chris Morris were recorded in late 1993 and broadcast as Why Bother? on BBC Radio 3. On 17 December 1993, Cook appeared on Clive Anderson Talks Back as four characters – biscuit tester and alien abductee Norman House, football manager and motivational speaker Alan Latchley, judge Sir James Beauchamp and rock legend Eric Daley. he also read links for Arena’s “Radio Night”. He also appeared, in the 1993 Christmas special of One Foot in the Grave (“One Foot in the Algarve”), playing a muckraking tabloid journalist. Cook made his last TV appearance in November 1994. Cook died on 9 January 1995, aged 57, having suffered a gastrointestinal haemorrhage in the intensive-care unit of the Royal Free Hospital in Hampstead, North London. Days earlier he had been taken in and announced, “I feel a bit poorly”. Dudley Moore attended Cook’s memorial service in London in May 1995 and he and Martin Lewis presented a two-night memorial for Cook in Los Angeles the following November, to mark what would have been Cook’s 58th birthday.Cook is acknowledged as the one of the main influence on British comedians from amateur dramatic clubs of British universities to the Edinburgh Festival Fringe, and then to the radio and television.ln 1999 the minor planet 20468 Petercook, in the main asteroid belt, was named after him.Ten years after his death, Cook was ranked at number one in the Comedians’ Comedian, a poll of 300 comics, comedy writers, producers and directors. Channel 4 broadcast Not Only But Always, a TV film dramatising the relationship between Cook and Moore, with Rhys Ifans portraying Cook. At the 2005 Edinburgh Festival Fringe a play, , examined the relationship from Moore’s view, Pete and Dud: Come Again. Tom Goodman-Hill played Cook.At the 2007 Edinburgh Festival Fringe, Goodbye – the (after)life of Cook & Moore was presented at the Gilded Balloon. The play imagined the newly dead Moore meeting Cook in Limbo, also inhabited by other comic actors with whom they had worked, including Peter Sellers, Tony Hancock, Frankie Howerd and Kenneth Williams. In May 2009 the play was seen again in London’s West End at the Leicester Square Theatre ) with Jonathan Hansler as Cook, Adam Bampton Smith as Moore and Clive Greenwood as everyone else.A green plaque was unveiled by the Heritage Foundation at the site of the Establishment club on 15 February 2009. Widely regarded as one of the greatest directors of all time, the American film director, screenwriter, producer, actor, and film historian Martin Scorsese was born November 17, 1942. Scorsese’s body of work addresses such themes as Italian American identity, Roman Catholic concepts of guilt and redemption, machismo, modern crime, and violence. Scorsese is hailed as one of the most significant and influential filmmakers of all time, directing landmark films such as Mean Streets (1973), Taxi Driver (1976), Raging Bull (1980), and Goodfellas (1990) – all of which he collaborated on with actor and close friend Robert De Niro. He won the Academy Award for Best Director for The Departed (2006), having been nominated a previous six times.In 1990 he founded The Film Foundation, a non-profit organization dedicated to film preservation, and in 2007 he founded the World Cinema Foundation. 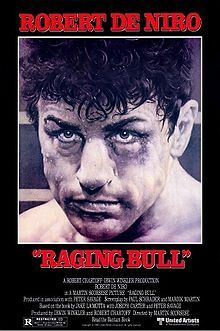 In 1998, the American Film Institute placed three Scorsese films on their list of the greatest movies in America: Raging Bull at #24, Taxi Driver at #47 and Goodfellas at #94. 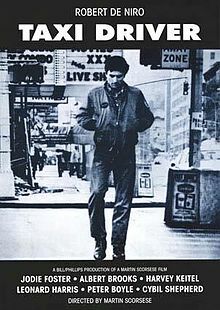 For their tenth anniversary edition of the list, Raging Bull was moved to #4, Taxi Driver was moved to #52 and Goodfellas was moved to #92. Durring his long and distinguished ongoing career scorsese has beenen awarded many honours and awards . in 2001 Scorsese received the Order of Merit of the Italian Republic and in the same year AFI put two Scorsese films on their list of the most “heart-pounding movies” in American cinema: Taxi Driver at #22 and Raging Bull at #51. At a ceremony in Paris, France, Martin Scorsese was awarded the French Legion of Honor in recognition of his contribution to cinema. is a recipient of the AFI Life Achievement Award for his contributions to the cinema, and has won an Academy Award, a Palme d’Or, Grammy Award, Emmys, Golden Globes, BAFTAs, and DGA Awards.During his career he has won many awards and honours including the AFI Life Achievement Award in 1997 and 2006, at the 48th Grammy Awards, Scorsese was awarded the Grammy Award for Best Long Form Music Video for No Direction Home.In 2007, Scorsese won the Academy Award for Best Director for The Departed, which also won Best Picture. On September 11, 2007, the Kennedy Center Honors committee, which recognizes career excellence and cultural influence, named Scorsese as one of the honorees for the year. On June 17, 2008, AFI put two of Scorsese’s films on the AFI’s 10 Top 10 list: Raging Bull at #1 for the Sports genre and Goodfellas at #2 for the Gangster genre.Scorsese was the recipient of the 2010 Cecil B. DeMille Award at the 67th Golden Globe Awards.On September 18, 2011, at the 63rd Primetime Emmy Awards, Scorsese won in the category Outstanding Directing for a Drama Series, for his work on the series premiere of Boardwalk Empire.On January 15, 2012, at the 69th Golden Globe Awards, Scorsese won an award for Best Director on the 2011 movie Hugo. On February 12, 2012 at the 65th British Academy Film Awards, Scorsese was the recipient of the BAFTA Academy Fellowship Award. On September 16, 2012 he won a Primetime Emmy Award for Outstanding Directing for Nonfiction Programming for his work on the documentary George Harrison: Living in the Material World. He has also earned praise from many film legends including Ingmar Bergman, Frank Capra, Jean-Luc Godard, Werner Herzog, Elia Kazan Akira Kurosawa,David Lean, Michael Powell, Satyajit Ray, and François Truffaut. Richard Fortus, the current guitarist with rock band Guns N’ Roses was Born Novembr 17th 1966. Originally formed in Los Angeles, California, in 1985. The classic lineup, of Guns’n”Roses consisted of vocalist Axl Rose, lead guitarist Slash, rhythm guitarist Izzy Stradlin, bassist Duff McKagan, and drummer Steven Adler. Today, Axl Rose is the only remaining original member, in a lineup that comprises Use Your Illusion–era keyboardist Dizzy Reed, lead guitarists DJ Ashba and Ron “Bumblefoot” Thal, lead and rhythm guitarist Richard Fortus, bassist Tommy Stinson, drummer Frank Ferrer and keyboard player Chris Pitman. The band has released six studio albums. 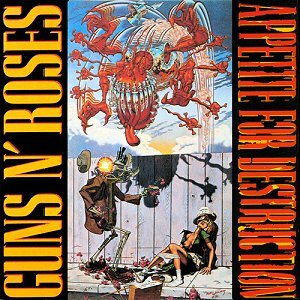 Guns N’ Roses’ debut album Appetite for Destruction reached No. 1 on the Billboard 200, hit “Sweet Child o’ Mine“, became their only single to reach No. 1 on the Billboard Hot 100 and The album became the best-selling debut album of all time in the U.S. Thanks to songs like Paradise City and Welcome to the JungleThe success of their debut was followed by the eight-song album G N’ R Lies. The twin albums Use Your Illusion I and Use Your Illusion II, which debuted at No. 2 and No. 1 on the Billboard 200. The cover album “The Spaghetti Incident?” was the band’s last studio album to feature Slash and McKagan. After more than a decade of work and many lineup changes, Guns N’ Roses released the long-awaited album Chinese Democracy in 2008 which, at an estimated fourteen million dollars in production costs, made it the most expensive album to ever be produced in music history. It debuted at No. 3 on the Billboard 200 but underwhelmed industry expectations, despite mostly positive critical reception. Guns N’ Roses have been credited with reviving the mainstream popularity of rock ‘n’ roll, at a time when popular music was dominated by dance music and pop metal. Their late 1980s and early 1990s years have been described as the period in which they brought forth a “hedonistic rebelliousness” reminiscent of the early Rolling Stones, a reputation that had earned them the nickname “The Most Dangerous Band in the World” The band’s classic lineup, along with later members Reed and drummer Matt Sorum, were inducted into the Rock and Roll Hall of Fame in 2012, their first year of eligibility. International Students’ Day is an international observance of student community, held annually on November 17. Taking the day differently than its original meaning commemorating German storming of Czech universities in 1939 and killing and sending of its students to concentration camps, a number of universities mark it, sometimes on a day other than November 17, for a nonpolitical celebration of the multiculturalism of their international studentsThe date commemorates the anniversary of the 1939 Nazi storming of the University of Prague after demonstrations against the killing of Jan Opletal and worker Václav Sedláček as well as against the German occupation of Czechoslovakia and the execution of nine student leaders, over 1,200 students sent to concentration camps (mainlySachsenhausen concentration camp) and the closure of all Czech universities and colleges. By this time Czechoslovakia no longer existed, as it was divided by the Nazi Germany into Protectorate of Bohemia and Moravia and Slovak Republic with puppet Catholic-fascist government.During late 1939 the Nazi authorities in the Protectorate of Bohemia and Moravia suppressed a demonstration in Prague held by students of the Medical Faculty of Charles University. The demonstration was held on the 28th of October to commemorate the anniversary of the independence of the Czechoslovak Republic. The 17th of November was first marked as International Students’ Day in 1941 in London by the International Students’ Council(which had many refugee members) in agreement with the Allies, and the tradition has been kept up by the successor International Union of Students, which together with the National Unions of Students in Europe and other groups has been lobbying to make the day an official United Nations observance.In 1989 independent student leaders together with the Socialist Union of Youth (SSM/SZM) organized a mass demonstration to commemorate International Students’ Day. This fiftieth-anniversary event gave students an opportunity to voice their displeasure with the communist party of Czechoslovakia. What began as a peaceful commemorative event turned into a violent one, by nightfall, with many participants being brutally beaten by riot police, red berets, and other members of the law enforcement agencies. About 15,000 people took part in this demonstration. The only person to left lying where the beatings took place was an alleged body of a student who in fact was an undercover agent. The rumor of a fellow student that died due to the police brutality triggered events that the secret police probably had not envisaged. That same night, students and theater actors agreed to go on strike.